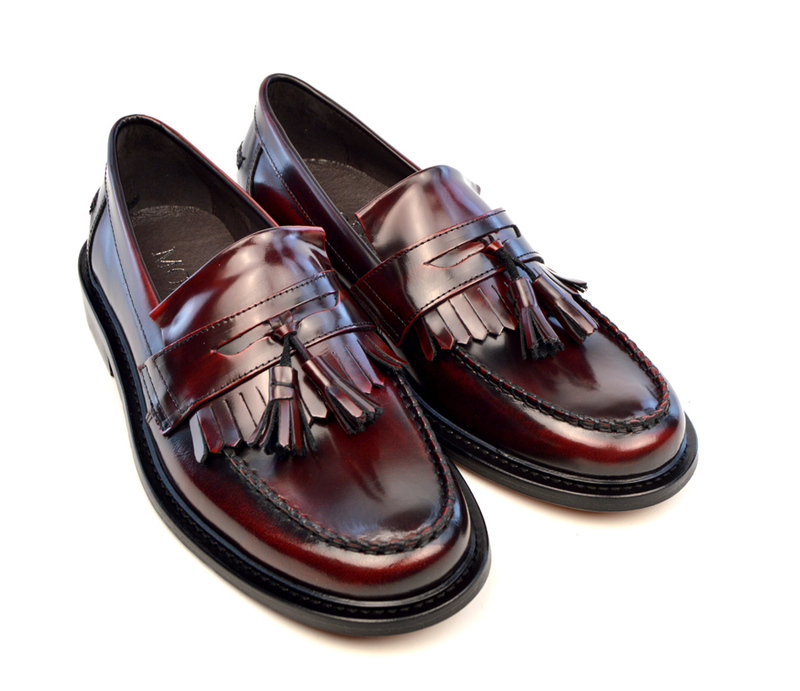 We had these shoes developed as I really wanted to reproduce the classic Tassel Loafer, just how I remembered them back in the day. Notice the cutaway where the Tassels are held. Also observe the extra stitching on the band. These are also slightly wider than other makes. We are extremely pleased with the results, as you can see here. 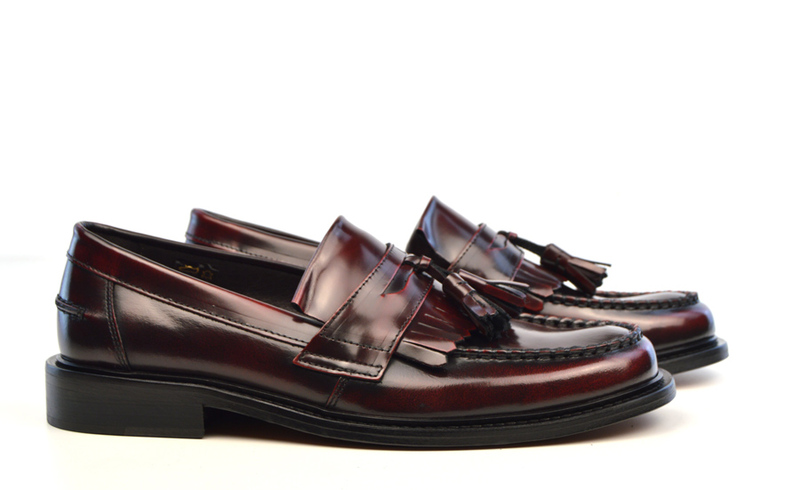 The soles are leather, the upper is an Oxblood mix. I love these shoes ! 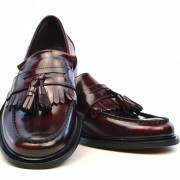 They are of a timeless style, and for the huskier gentleman carrying a wider foot they are perfect. Often it is a relief to kick your shoes off at the end of the day, but I sleep in these. 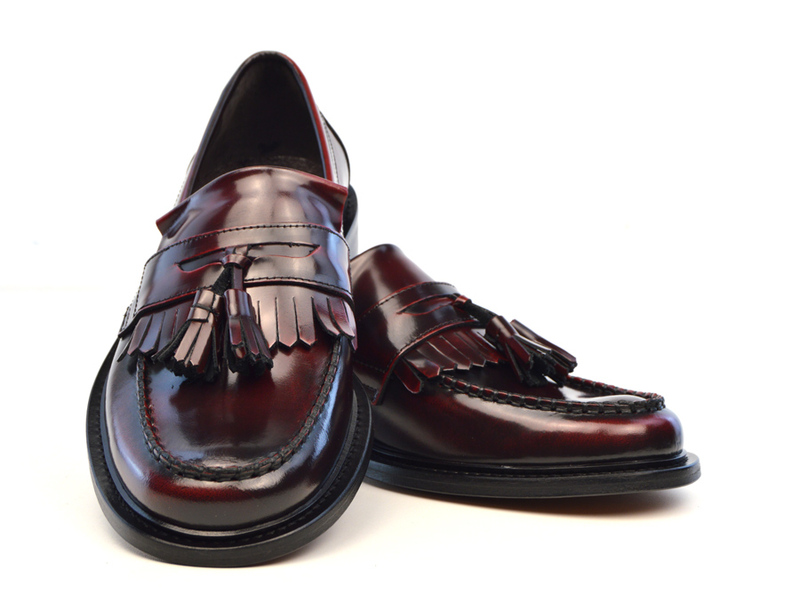 These shoes are wonderful very comfortable and they take me back 30 years to what I was wearing as a teenage mod. 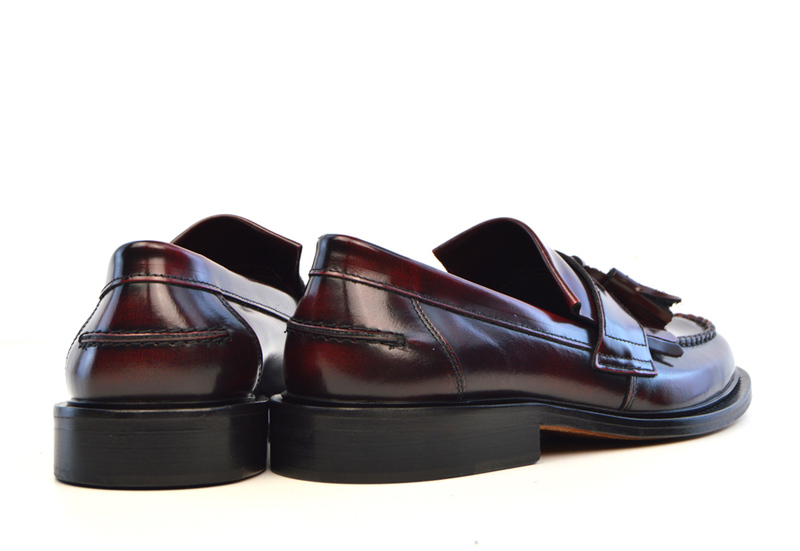 First rate delivery times and not disappointed when they arrived well packaged and looking good but more important than all that , they were so comfortable straight away (no breaking in needed ) and the oxblood colour was spot on . 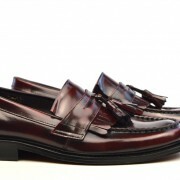 Next on my list are the black tasseled latice shoes . 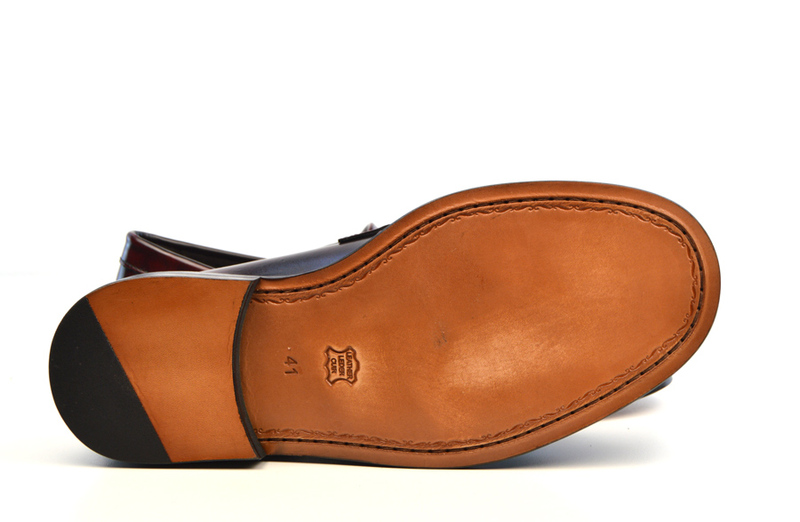 This shoe tells all who can see ” hey relax….it is friday ….we are still very busy at my city office , but we dress-down on fridays , but only so far ….we have a smart tradition here at the office …. 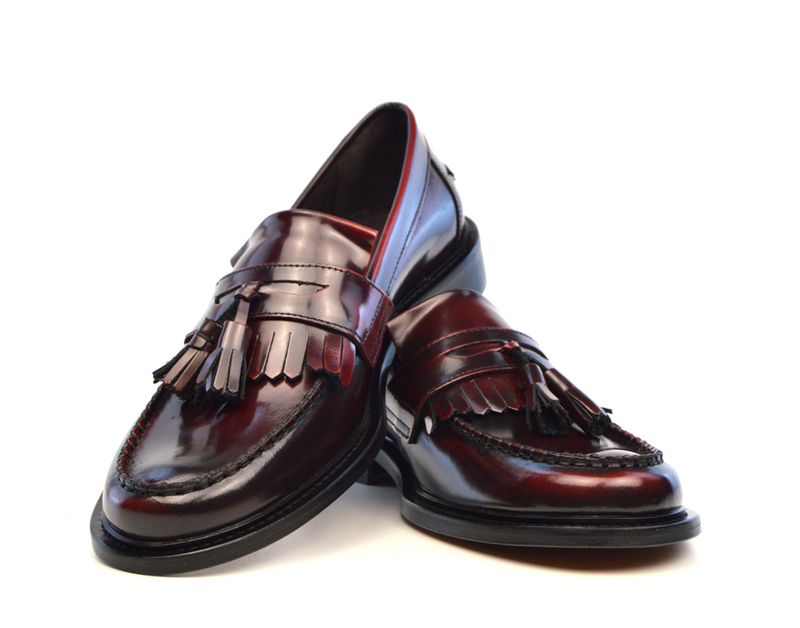 we are professionals …..everyone at the photocopy or vending machine want to know where i buy my shoes !! !……cool….calm…collected !!! Fantastic!!! Shoes arrived next day , fitted like a glove. Wanted to wear them all day!! 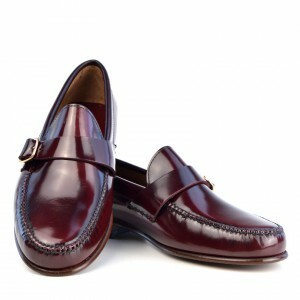 These are just lovely great colour great style very well made my husband is delighted. 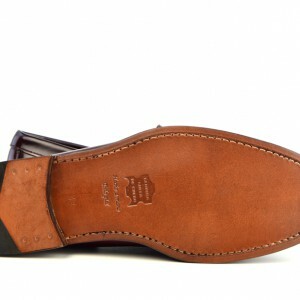 I would just like to add my husband does have a wide foot and I had to go for a size bigger so had to return the first pair but the service was exceptional I couldn’t believe how quickly they arrived and they fit like a glove …. 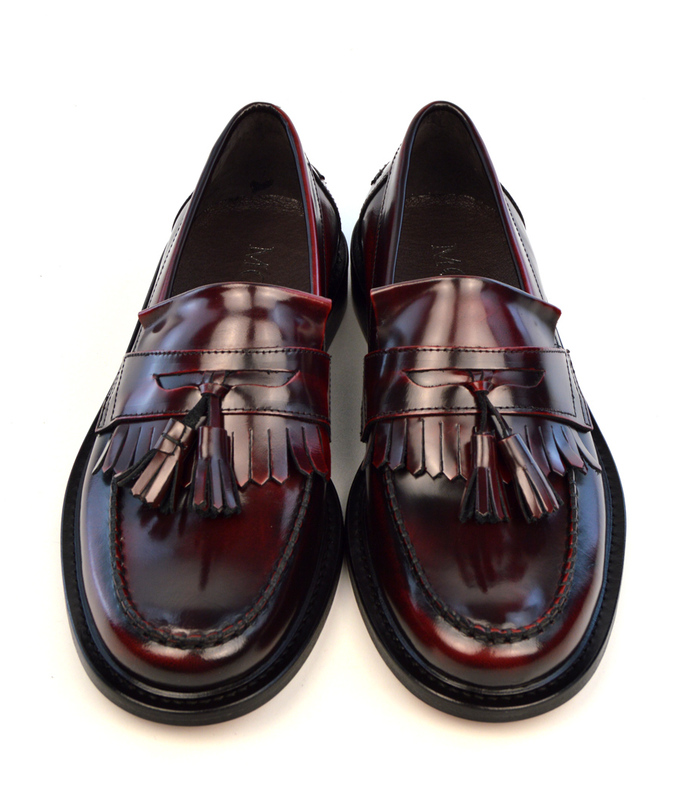 23rd January 2017.I bought my husband the prince oxblood loafers & he was so impressed with the fit & look of them he bought the black loafers three days later. 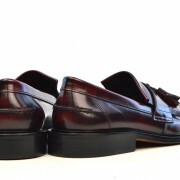 I tipped my mate off about these shoes after seeing them on this site, so we both ordered a black and an oxblood pair, 2 pairs each. 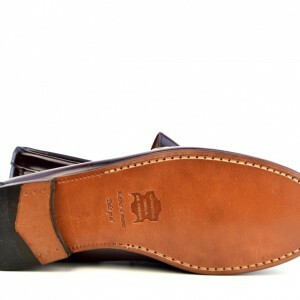 They arrived today and they are awesome, a beautiful well made shoe, with excellent style. They feel extremely comfortable and fit perfectly,(I’m usually an 8 but ordered a 7). I’m in Australia and it took a week and a 1/2 or two to get here. I fancied a pair of these for months and always waited until one day i thought sod it i’m having a pair, i’d had Frank Wright ones in the eighties and really liked the look of them. They looked just like the originals in every way so that was it they were ordered, no going back. What a decision that was, as soon as the arrived i checked em over as you do and was extremely pleased to find they arrived well on time and the quality was better than i was expecting, the colour was superb, along with the stitching and manufacture overall was top notch. Then came the moment to get them on, i always remembered years ago it always took a short while to wear new ones in, however i didn’t experience that with these at all from day one and still to this day they have been super comfortable. 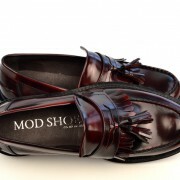 I will definetly be purchasing more shoes from Mod Shoes, if they all arrive as good as these then my only dissapointment is that i didn’t find this site sooner. 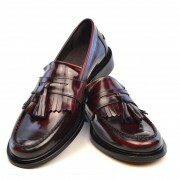 Brilliant shoes, no need to add anything further, other than order these now you will not be dissapointed. 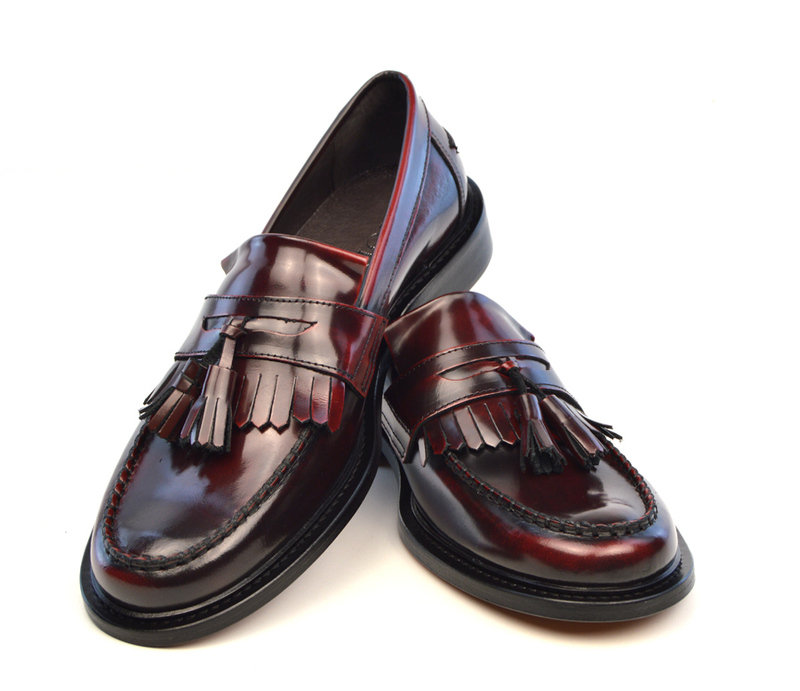 Beautiful colour,good balance of tassel to frill, nice thick stiched welt at back,immediately unbelievably comfy especially the width and they sound good too. The service was exceptional, the packaging was great loved the flyers in there, the delivery was reliable as promised (somewhat rare theese days) , had loads of compliments and enquiries and totally recommended the company , love it I will not be buying my shoes anywhere else in future. Bought these a few months back, best shoes I have ever purchased. Really comfortable, look amazing and takes me back to my younger days. 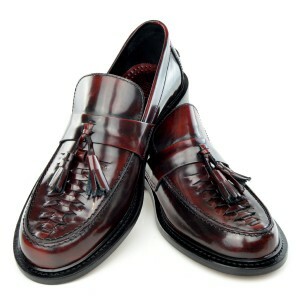 Great service, fantastic pair of shoes, very comfortable, worn straight out of the box. 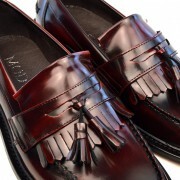 These shoes are very elegant and the color is uniform. 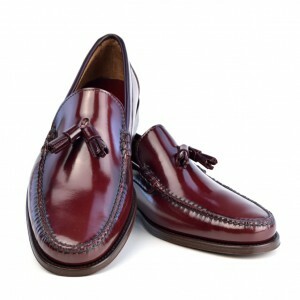 However, it is advisable to order a larger size if, like me, you have wide feet. Awesome pair of Shoes ordered 2 Pairs from the other side of the world in New Zealand arrived quickly fitted perfectly still going 3years later and still look immaculate. 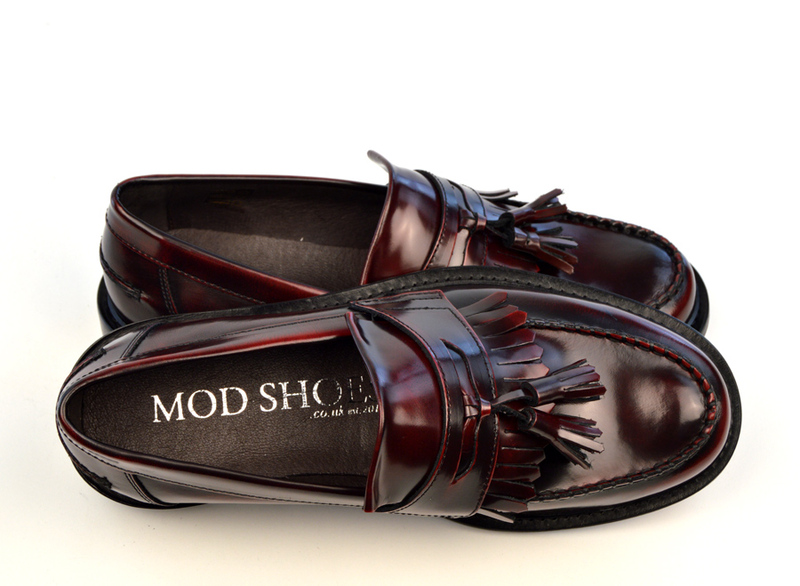 Another lovely pair of shoes from Mod Shoes. Received several compliments on their first outing. And great service to boot (groan!). The only occasion I had to send back a pair (I had misjudged the size), they didn’t have the required amended size in stock. Problem? Nope – I received a call from the boss himself (Andrew of Mod Shoes video fame!) explaining that they could only offer a refund – which was promptly paid into my account the next day. Customer service can hardly get better than that, the only problem in that instance was that I couldn’t have the shoes I wanted! On opening the box I was immediately transported back to my youth club days, they were just as I remembered. Very comfy straight out of the box. I’d been looking for these for some time now but these are top quality at half the price of any others I’d found ! 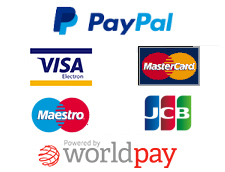 Sturdy and well made with excellent delivery service. 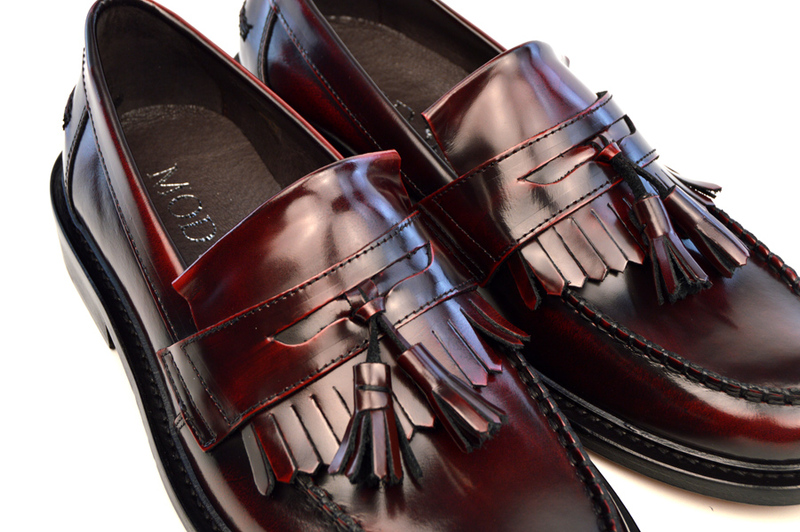 When people ask me where i bought these lovely shoes, i know that they look good !!. I feel good in them, very comfortable to wear all day & it takes me back to the 70’s. Perfect. 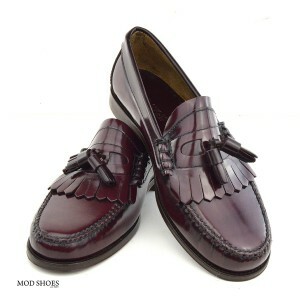 my third pair of shoes from Mod shoes & all are great !!! For style and comfort these can’t be beat ,got these for my wedding in August but will need another pair as I can’t take them off . Got these shoes for a Xmas present,went down a size on the advice of the website, thought I’d made a mistake when I first wore them but within a few hours they fitted like a glove. Takes me back to 1981 when I thought I was the business skanking to the 2 Tone bands of that time.Brilliant service and next on my list are the Loake oxblood brogues. Worth getting an instagram account for! Went down a size as advised, 1 day of wear at home had them fitting perfectly. 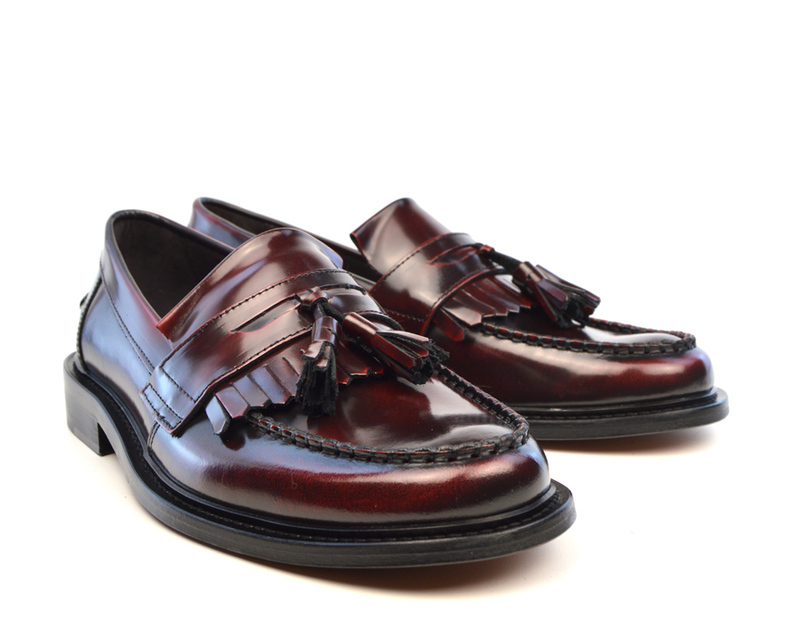 I wear them with a navy suit and coloured socks – they look the business and gives a great look to normally tiresome “business attire”. 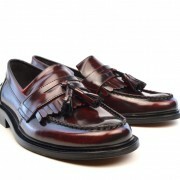 They may be “retro” but look and feel ultra fashionable! Smashing colour, excellent crafting, lovely details, a work of art! Fantastic quality. 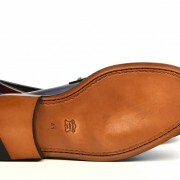 Slightly tight to begin with, as warned, but the leather soon softens to your foot shape. “If you’re not in the mood to dance, Step back, grab yourself a street”… These will keep you going all night. 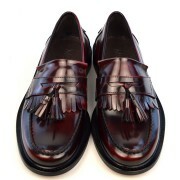 So I decided to treat myself to a pair of Prince Tassel Loafers in Oxblood. Was a bit concerned as it’s more than I would normally have paid but I needn’t have worried. They arrived quickly and opening the package was a joy in itself. I’m a standard foot width so went with size . As soon as I put them on I was 16 again and within 15 minutes they’d warmed up nicely and were ready to wear out. I couldn’t be happier. 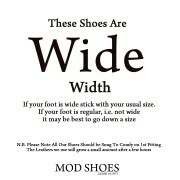 Have since bought 2 more pairs of shoes from Mod Shoes. Service and quality are both right up there and I’m sure to darken their door again soon! I have always wanted a pair of these but was put off as my feet are on the wide side. These however fitted straight from the box Brilliant. 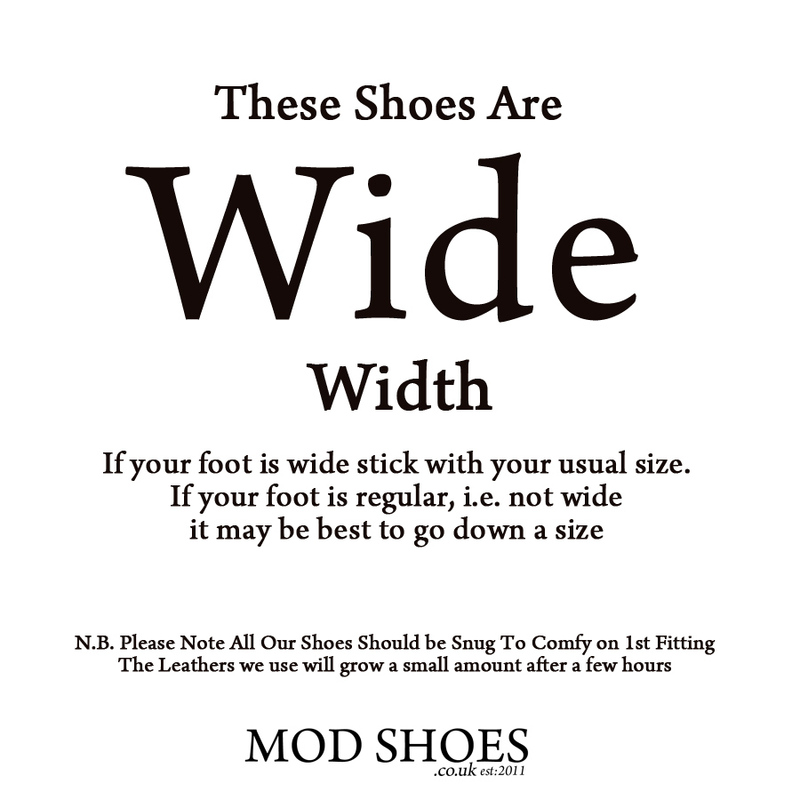 Thank you Mod Shoes. When I have the money I will order a black pair. Fast delivery. These are very comfortable and stylish, they are high quality and now ordering a Black pair to match. Great service very prompt delivery – highly recommended. Absolutely love these shoes! 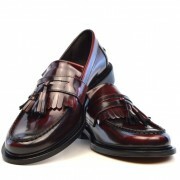 They look great casual or more formal,very comfortable too. Well worth every penny!